Another year coming to an end (and one many of us will be very happy to see the back of), which means its time for me to do a quick round-up and list my favourite books of the year. I’m late getting this out this year, so if you’re looking to buy any of these books as presents, you’ll need to get the finger out! Goodreads informs me that I have read 84 books during this year, which is considerably more than any previous year. A massive 55 of these were by authors I haven’t read before, and 23 of those were debut works. 2016 was an excellent year for fiction debuts, and my debut Top Ten below was much more difficult to produce than the non-debut Top Ten. This years figures also include a miserable 4 pieces of translated fiction. Unfortunately, last year’s laziness persisted, meaning that not every book that I read got a review on Reader Dad. My aim is to do much better in 2017, and I have given the site a bit of a spruce-up in anticipation of a much more active year. As a result, many of the books in the lists below don’t have links to existing reviews, but I’ll try to summarise quickly why I loved them so much. The books appear in the order in which they were read and, as always, only books originally published in the UK during 2016 are included. The first book I failed to review is also one of the earliest I read this year. 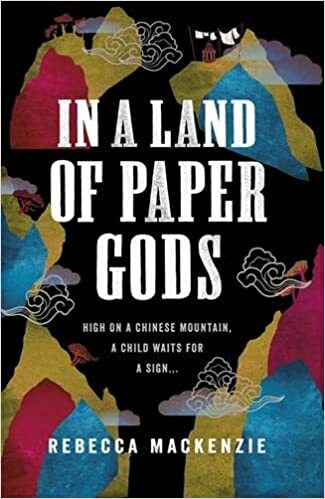 Rebecca Mackenzie’s In a Land of Paper Gods introduces us to 10-year-old Henrietta Robertson, the daughter of British missionaries attending a boarding school in China. As the threat of war looms in the background, Etta finds herself at the heart of the Prophetess Club, convinced that she is privy to God’s divine will. A beautiful coming-of-age story that is by turns hilariously funny and darkly sinister. Welcome to Tall Oaks, the epitome of small-town America, a town in mourning following the disappearance of a young child. As the child’s mother leads the search, constantly bombarding the town’s sheriff with requests and information, the rest of the small town’s residents try to get on with their lives, despite the ever-present spectre. Comic noir at its very best, Tall Oaks is a showcase for Chris Whitaker’s already-impressive talent. The characters are the driving force behind this story, and they will remain with you long after the story has finished. This is an absolute gem. HEX reads like the work of a much more mature and developed author, so it’s a surprise to discover that it is Thomas Olde Heuvelt’s debut. Tension and horror combine to make this a story that is impossible to put down, as the deepening sense of unease suddenly flares into all-out shivers that run the length of your spine. Wonderfully written – and presented here in an excellent translation by Nancy Forest-Flier – and perfectly-judged, HEX is old-fashioned horror with a modern-day twist done right. It’s a story that will stay with you long after the lights have gone out, and places Thomas Olde Heuvelt high on this reader’s must-read list. While The Last Days of Summer doesn’t appear to be my usual fare, this is one of those cases where the book cover seriously lets down the story within. This is humanity laid bare, with all of our foibles and petty arguments on show for the world to see. This is a book that I can’t help but unashamedly and unreservedly recommend to anyone, and Vanessa Ronan proves that she has a talent that will quickly set her amongst the greats of whichever genre she chooses to write in. I’m an instant fan, and will be watching Ronan’s career with an eagle eye in the years to come. Do not miss this book. Brilliant writing and a story that is relevant to every person who has ever used a networked device combine to make Sockpuppet one of the standout debuts of the year. Behind the apt (if coincidental) grinning pig on the front cover is a story that grips you from the outset and leaves you wishing for more as the final page is turned. Darkly comic but intrinsically frightening, this is a cautionary tale of an all-too-possible near future and marks Matthew Blakstad as an extremely talented new voice in the world of speculative fiction. Deftly tying together four different stories from four different time periods, Michael Hughes’ debut novel is a sublime work of art. Beautiful writing gives us four very distinct and recognisable voices as we follow John Milton’s seminal work from its creation in 1666 to its significance on the Millennium bug in 1999. This is, quite possibly, the best book I’ve read this year. The Wolf Road is a novel that ignores genre boundaries in order to be the best story it can be. Beth Lewis writes with a confidence and sense of control that belies her debut novelist status. Through the characters, the language, the geography, the brief world history, she has constructed a complex and satisfying story that is at once thriller and horror, Western and crime drama, speculative fiction and character study. The result is so much more than the sum of all these components: an engrossing story built around a unique and memorable protagonist, a standout piece in a year filled with big-name releases. Get on at the ground floor – you’ll be hearing a lot about Beth Lewis in the coming months and years, so take the time to enjoy that sense that you’ve discovered The Next Big Thing before everyone else. Vigil is a brilliant debut novel from an exciting writer who cut her teeth on short stories. Pacy and engaging, it’s a book that demands to be finished once it has been started. Verity Fassbinder is a name, and a character, not quickly forgotten by the reader, sure to become a staple of the genre as the series progresses, as instantly recognisable as, say, Sookie Stackhouse or Katniss Everdeen. Angela Slatter is a confident and talented writer whose ability to build worlds is surpassed only by her skill in populating them. A complete story in its own right, Vigil is, nevertheless, the first book in a series, and it leaves the reader gasping for more as it draws to a close. Already one of my favourite books of the year, I can’t help but recommend this to everyone. One of this year’s gems, Security is one of the finest horror novels to be produced in quite a while. Slick, clever and with a clear, engaging voice it should put author Gina Wohlsdorf firmly on the map, alongside some of finest young writers working in the genre today: Lebbon, Keene, Littlewood, Langan. It’s a book that cries out for a second read, if only to plug the inevitable gap until the author’s second novel, and is a must-read for anyone who enjoys intelligently-written horror fiction. I really can’t recommend this highly enough. Reminiscent of King’s Desperation and Jackson’s The Haunting of Hill House, Keith Lee Morris’ latest novel – the first to be published in the UK – is an intense and gripping story that succeeds in its aim to unsettle the reader, to turn what we think we know on its head and leave us stranded with the Addison family in the strange little town of Good Night, Idaho. Wonderful writing and excellent characterisation combine to keep the story very much grounded in reality, despite the unnerving and unusual sights we will see during our stay in the Travelers Rest. A fine new voice in horror fiction, Keith Lee Morris shows an impressive talent and a deep understanding of his chosen genre. I’m interested to see where his talents take him next; in the meantime, Travelers Rest should be on your list of books to read this year. Having skimmed through my reviews of previous Pinborough novels, I can see they are overflowing with gushing hyperbole. 13 Minutes shows that every word of it is true, as if we needed any further confirmation following last year’s stunning The Death House. This is the work of a writer at the very top of her game, one who is comfortable turning her hand to any subject, any genre. It’s a book that you won’t want to put down once you’ve started it, drawn in by the characters who are barely restrained by the book’s pages and by the author’s glorious ability to manipulate the reader in the same easy manner that she manipulates her creations. If you haven’t read Pinborough before, 13 Minutes is as good a place to start as any. If you have, then what are you waiting for? While you may not know what to expect story-wise, there’s one guarantee: there are very few writers as talented and as readable as Sarah Pinborough and 13 Minutes is an excellent new addition to an unsurpassed body of work. In all, The Fireman is an excellent showcase for the talents of Joe Hill. I mentioned earlier that I think it’s likely to be his breakout novel, the story that spreads his name outside the genre. Yes, this is a grim look at post-apocalyptic America, but it’s a very different take than anything we’ve seen before. And more than that, it’s a story about people, about humanity’s acts of kindness and of evil. It’s a story about love, community, family. A story about hope, and how we cope when hope seems lost. Intense, beautiful and completely engrossing, The Fireman is Joe Hill’s finest novel to date, the work of a confident and mature writer for whom words are the building blocks of pure magic. It’s amongst the best novels I – or you – will read this year, and one I will be revisiting with the same frequency that I do its forebear. Essential reading for everyone, this is not to be missed. Aliya Whiteley’s follow-up to her first novella, The Beauty, is as deeply affecting and beautifully written as its predecessor. A very different beast, The Arrival of Missives weaves history and speculative fiction together and presents us the link in the form of the characters at the centre of the tale. 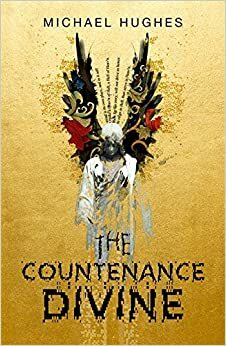 While the novella seems to be Whiteley’s medium of choice – and it is one that certainly works well for her – this reader yearns to see her turn her hand to the much longer form in the near future. An incredible talent, Aliya Whiteley continues to astound and delight, and The Arrival of Missives confirms what anyone who read The Beauty already knew: these books, and this writer, are not to be missed, under any circumstances. Perhaps the strongest book of the trilogy, End of Watch is a welcome return to the unnamed city that is the home of Bill Hodges and the assortment of characters with whom he consorts. As with all of King’s work, the characters are key, though the reader can’t help but be impressed by the groundwork the author has already laid in earlier volumes to support the grand finale that he presents here. Despite his age, King shows that he is still as relevant, still as in-touch with the world we live in, as younger generations of writers, and proves, once again, that when it comes to transporting the reader into his fictional worlds, he remains without equal. Without a doubt the best of the trilogy, The City of Mirrors provides a satisfying conclusion to the story started over six years ago. I can almost guarantee that readers will come away from this volume with an intense desire to go back to the start and read through to the end. It’s a project I will be undertaking myself in the near future. Justin Cronin is a master storyteller and his post-apocalyptic vision stands alongside the genre’s finest. With The City of Mirrors, a wonderful story in its own right, he also shows an ability to deliver on the promises he made in earlier volumes. An engrossing plot coupled with characters who are at once familiar and strangely changed – whether because of the four years that have passed in real time since we last met them, or because of the twenty years that have passed in the course of the narrative it is difficult to say – brings a fitting close to one of the best pieces of horror fiction produced in the past decade. This is hopefully not the last the genre has heard of Justin Cronin. I can’t help but recommend this – and the preceding two volumes of what can only be described as his masterpiece – unreservedly. Undying: A Love Story is less love story and more love letter, the poems all addressed to Eva herself. It’s an intimate and devastating insight into what can only be described as a very personal experience of two people who are obviously very much in love. It is essential reading, but should only be started when you’re sure you have time to read it cover to cover. Keep a box of tissues handy, but be prepared for moments of pure beauty amidst the darkness. Beautiful, life-changing, unmissable. Shifting his focus from fantasy worlds to the one in which we live, Daniel Polansky gives us his version of New York. Well, the dark and magical underbelly at any rate. With writing and characterisation that made The Low Town Trilogy such a success, A City Dreaming is engrossing, captivating and, at times, very VERY funny. 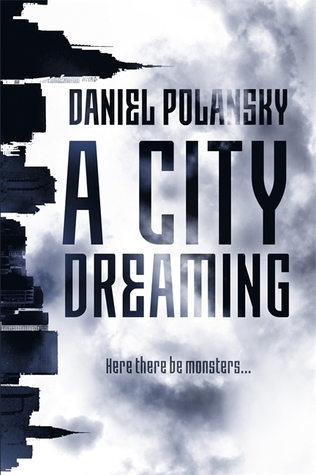 Reminiscent of Gaiman at his best, A City Dreaming shows Polansky back on top form. Emma Donoghue’s latest novel takes readers back to the Irish Midlands in the middle of the 19th Century. Hired by the council of a small village, Nightingale alumnus Lib Wright’s job is to watch 11-year-old Anna O’Donnell for two weeks in an attempt to determine how the girl remains healthy despite the fact that she hasn’t eaten a bite in four months. With a fine grasp of how the Irish work, and an uncanny ability to tell a story that keeps the audience captivated start to finish, Emma Donoghue’s latest novel is her finest since Room. Part examination of the oft-misunderstood phenomenon of chronic neuropathic pain, part thriller, N.J. Fountain’s latest novel takes the reader on a twist-filled journey through the life of Monica Wood. A full review of Painkiller will appear on Reader Dad soon. Technically, since this book was originally published in 2006, it shouldn’t be included in this year’s list. But the release of the beautifully-illustrated Tenth Anniversary Deluxe Edition is all the excuse I need to give it an honourable mention. From its light-hearted opening line to its inevitable and horrific end, The Boy in the Striped Pyjamas is a gripping and essential take on one of humanity’s darkest moments. Boyne pulls no punches, despite the child’s-eye view that he uses to tell much of the story, and the reader comes away from the experience a changed – and extremely damp-eyed – person. While it is ostensibly a book aimed at children (I can’t wait until my own child is old enough to read it with me), this is a book that deserves to be read by everyone, an important story that – especially in these dark times where many seem to be forgetting the lessons of the past – is perfectly-pitched to give our children an early glimpse of the horrors inflicted on the world by Nazi Germany. A tough read (especially when you know what’s coming), The Boy in the Striped Pyjamas remains one of the best books I’ve ever read, and this tenth anniversary edition marks both John Boyne and Oliver Jeffers as national treasures, men in whose hands the education and edification of our children are safe. If you haven’t read The Boy in the Striped Pyjamas, I would urge you to do so. If you have, don’t you think it’s about time for a revisit? 2017 is already shaping up to be an excellent year of fiction, with the first three books I have read that are due out in January already almost certainly claiming a place on next year’s best-of lists. Expect a revitalised Reader Dad in the New Year with a busy January already planned. All that remains is for me to thank the wonderful publicists and publishers who keep me stocked with such excellent reading material; the fantastic authors who not only provide these excellent reads but who, in many cases, give up time and energy to write guest posts or provide answers to my inane Q&As; and you, the readers, for your continued support: without you, I’d just be talking to myself. Wishing you all a very Merry Christmas, and a Happy, Safe and Prosperous 2017.